Participants in the intra-Afghan talks said removing Taliban leaders from the UN sanctions list will help "create the atmosphere of trust and promote peace"
MOSCOW, February 6. /TASS/. /TASS/. Participants in the intra-Afghan conference in Moscow have called for removing Taliban leaders (organization banned in Russia) from UN sancitons list, Tolo News TV channel reported citing the statement issued at the end of the conference. "All parties agreed that in order to create the atmosphere of trust and promote peace, in the first step, it is important that these items are taken into consideration, tackling the issue of all those inmates who are old, or suffering uncurable diseases or have completed their prison sentences and the removal of leaders of the Taliban from the UN blacklist, opening of an official political office in Qatar for acceleration of peace talks," the statement said. Afghanistan's presidential candidate and former National Security Advisor Hanif Atmar told reporters on Wednesday that participants in the intra-Afghan conference also agreed to maintain dialogue between the Taliban and the United States. "We agreed to continue talks between the Taliban and the United States," Atmar said. 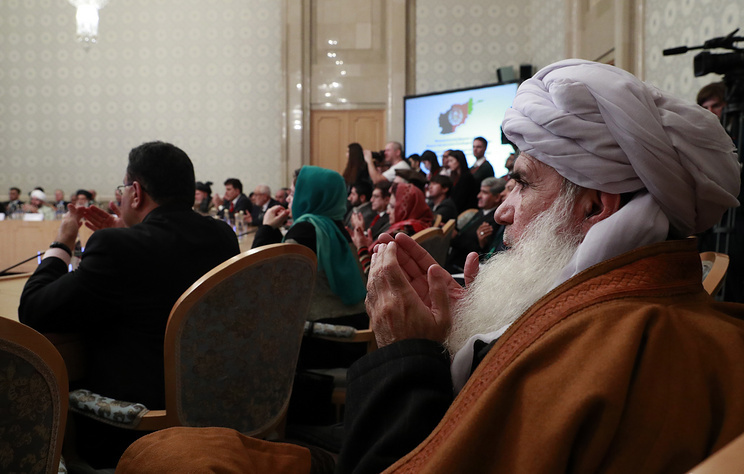 The intra-Afghan conference in Moscow was held on February 5-6. It was organized and sponsored by representatives of the Afghan diaspora in Russia. Participants in the conference discussed the situation in Afghanistan and looked for ways to peacefully settle the years-long conflict.